Flexible with USB charging port. Powerful by Li-ion battery. This rotating laser has a simplified operation. On construction laser itself, there are only two buttons: On / Off and anti-shake. Only with the remote control additional functions are provided. It is possible to leave a casual user to the device without remote control. You will then have the assurance that the device can be operated in the self-leveling rotation. Measurement errors caused by incorrect operation are excluded. Observance of the laser safety regulations is ensured. Neither the device nor on the remote control, there are buttons with double occupancy. Many devices features the second control level are activated by pressing the key longer. As a result, the operator is often complicated and difficult. Not so with the rotating laser hedue S2 / S3 S2. The buttons are logically labeled and not been assigned. Employment without any safty restrictions due the nonhazadrous catergory class II laser. Current regulations require the users of a class 3R or above laser, to be specially instructed while the workspace has to be blocked off and access to it limited. Both vertical and horizontal internal thread. 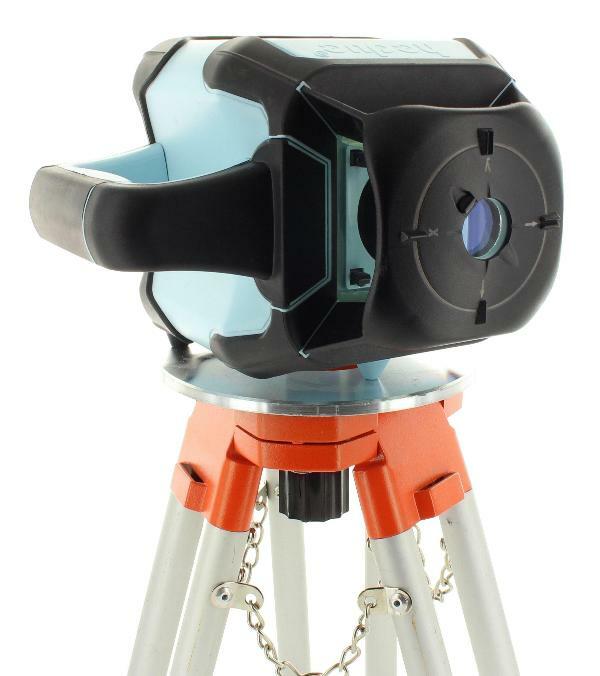 With the two 5/8 "threads on ground and back of the device you can use the laser level horizontally and vertically on a standard tripod. The rotary laser levels fully automatic horizontal and vertical. Fast and accurate alignment on the visor. 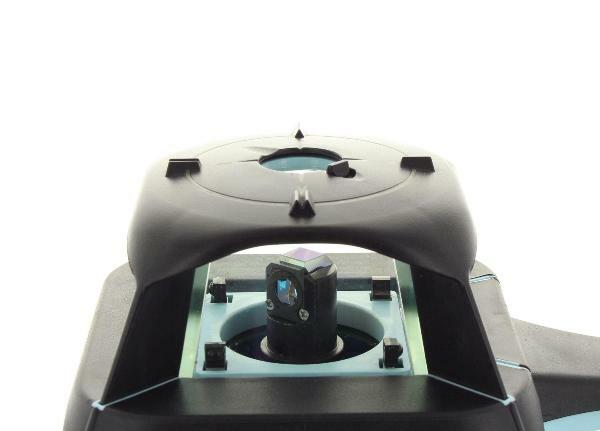 The target device allows you the exact alignment of the laser level in the run. Quiet and gentle belt drive. The drive of the rotary laser works with an efficient belt drive. This is compared with the conventional gear drives, waste and provide many times quieter. Turn off the rotation with 600 u / min in the Scan function with 10 °, 25 ° or 50 ° opening angle. In interior finishing you have a clearly visible laser line. You can move the line to the left or right by the arrow keys. Manual sloping of the X and Y-axis. You can turn off the levelling monitoring. The unit will rotate in any angle. A fine adjustment of tilt is possible using the four arrow keys. Delivery in transport and storage system systainer. With the pause button to stop the rotation and turn off the laser beam. The levelling monitoring remains active and continuously monitors the exact orientation of the device. So you can start rotation after an interruption of work at any time. This increases safety on busy building sites and also saves energy. 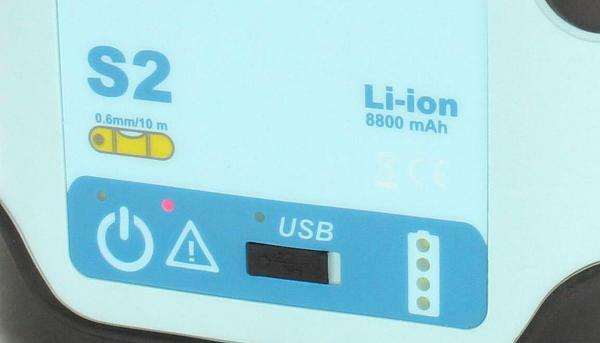 Long operating life of the included Li-Ion Battery. The lithium-ion battery has a high energy density, is thermally stable and has virtually no memory effect. It is the ideal battery for your projects. In addition to the short load times makes an equally long life of these batteries. 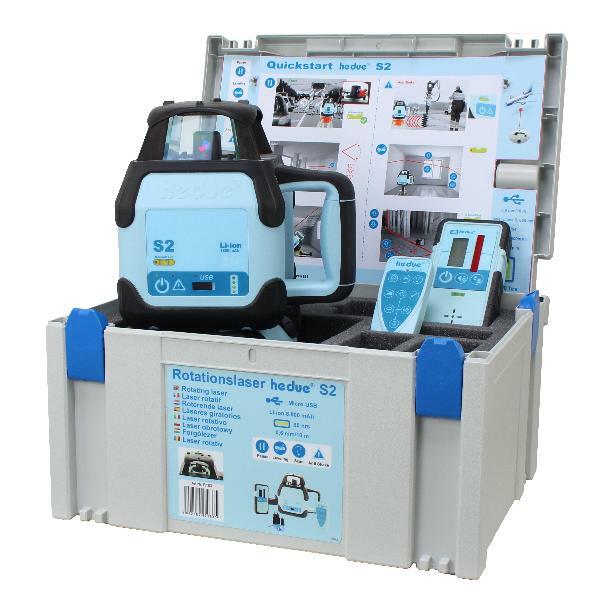 The units are individually tested and supplied with a calibration certificate. Flexibility when charging with the Micro-USB charging socket. You can find micro-USB ports in many devices tody. For example in smart phones, eBooks or laser rangefinders. This technique is both environmentally and economically. The interchangeability of chargers protects the environment and your wallet. You will also be independent when and where you recharge your device. Increased protection with the integrated laser head cover. The plumb beam is not always needed. Therefore you can close the upper exit window by a slider. This will prevent the uncontrolled emission of plumbing point.